Staff and students in the LINC Before & After School program at Attucks and King elementary schools in Kansas City Public Schools participated in an art workshop at the Nelson-Atkins Museum of Art on Wednesday, March 19. In the past, the Nelson-Atkins Museum staff have provided art classes on site for LINC students at Attucks, Boone, and King. The activities have included yarn-art and painting. Sunday, March 30, the Nelson-Atkins will hold a Passport to India, a free event to the public. 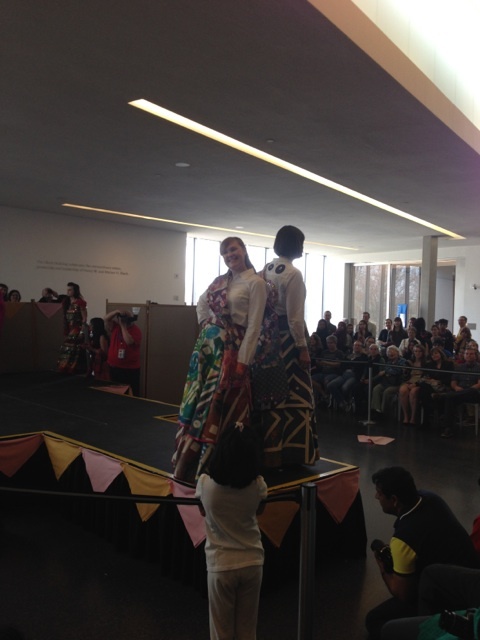 Attendees can view garments made by students at Attucks and King Elementary which will be worn by performers. Nelson-Atkins Museum of Art provide students with art workshops during the school year. LINC site staff participate during Nelson-Atkins art workshop. 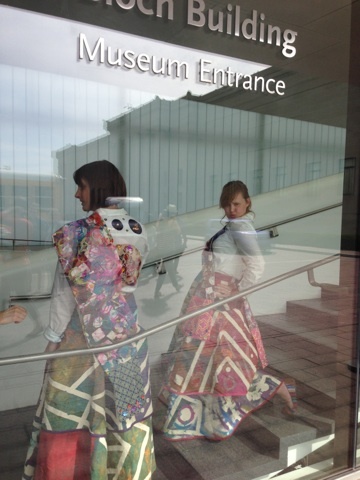 Ford Learning Center teachers Whitney and Corey model the outfits created by Attucks and King students during Passport to India on Sunday, March 30.